A collection of Oklahoma Maps; View a variety of Oklahoma physical, political, administrative, relief map, Oklahoma satellite image, higly detalied maps, blank map, Oklahoma USA and earth map, Oklahoma’s regions, topography, cities, road, direction maps and atlas. 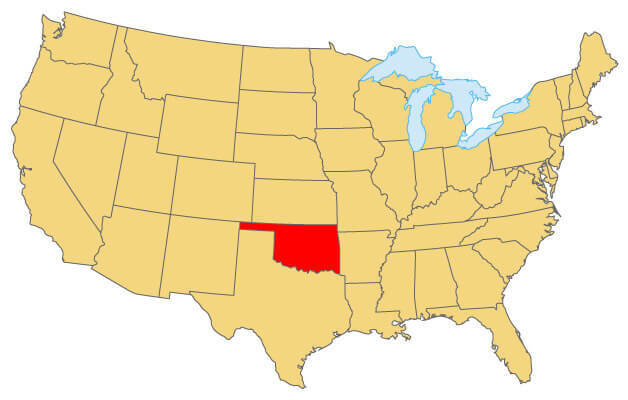 Oklahoma Locatation Map where the state is located in United States. 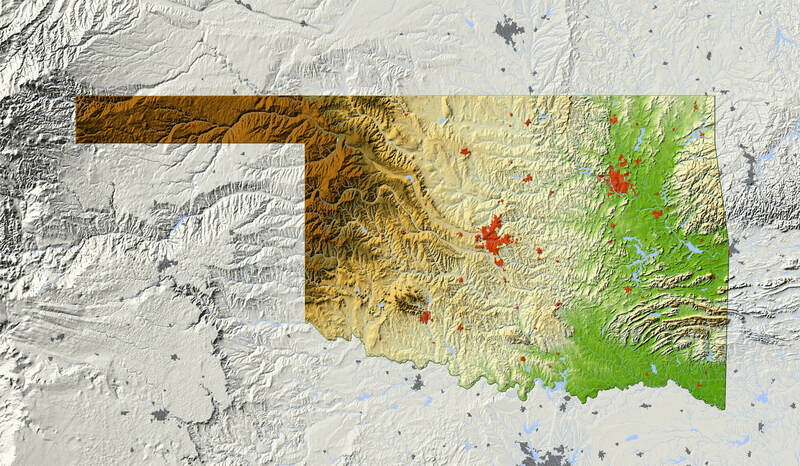 Vector color map of Oklahoma state, USA. 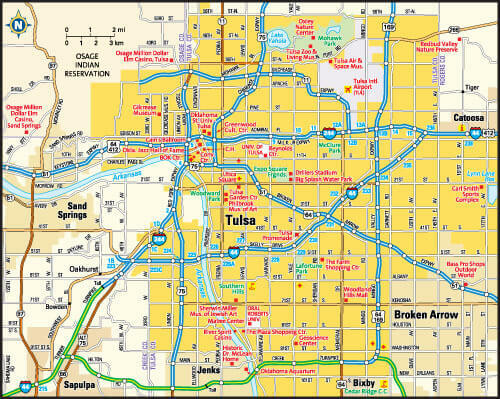 Tulsa, Oklahoma area map, US.